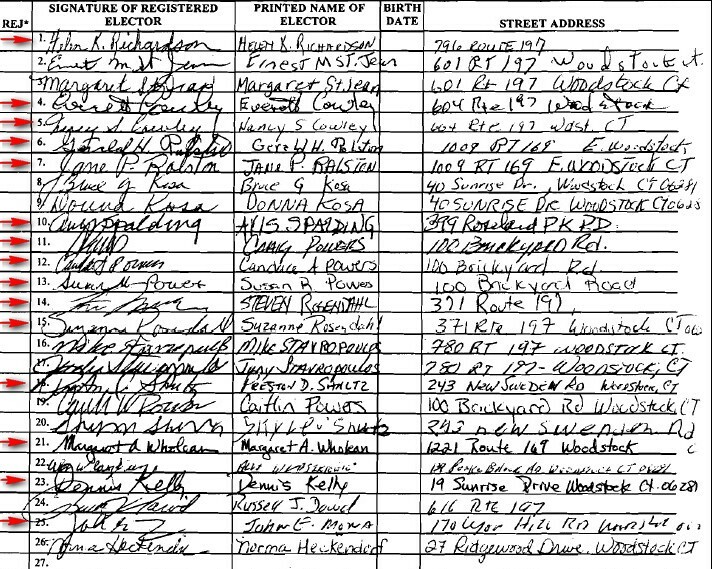 Just go to town hall, and ask how many signatures you need to file a legally worded petition to hold the town meeting, submit the petition and you will get your town meeting. You can even petition for a machine vote. It took two tries in Sharon! CORNWALL — First Selectman Gordon Ridgway has determined there will be no “do-over” of last week’s town meeting vote that resulted in a tie. The question put to electors was whether to change the method of choosing the town’s representative to the Region 1 Board of Education from being appointed by the local school board to elected by the public. The vote tally was 37 to 37, which means the motion failed. During Tuesday night’s meeting of the Board of Selectmen, Selectman Heidi Kearns brought up the matter, asking Ridgway if he had consulted with town attorney Perley Grimes as he said he’d do following the town meeting. Ridgway said he did and that Grimes, after conducting some research, concluded the motion did not pass. Kearns said she received a lot of feedback from residents, who felt there was confusion at the meeting. “I think most people knew what they were voting on,” Selectman Richard Bramley countered. Ridgway said when there is a close vote, there is always dissatisfaction with the outcome. “But I think it was clear and I’m confident we gave a fair hearing,” Ridgway said. He said that could result in having every town vote repeated with some residents looking for a two-out-of-three method. Kearns suggested putting the question on the November ballot, adding that both the representative and the alternate should be elected. There was no move to make the alternate’s position elected during the recent vote. It always has been an appointment by the Consolidated School Board. Ridgway said he saw a problem with putting a local issue on a state election ballot. Bramley noted that a town meeting allows voters who aren’t necessarily registered, but who are property owners with assessments of at least $1,000, to cast a ballot. That would make putting the question on a ballot a complicated process, he said. Ridgway said a move to reconsider a matter needs to happen just after the vote is taken and not go on to successive votes. Resident Paul Baren said there was no mention of that option at the town meeting. Both Ridgway and Bramley were firm that a procedure for dealing with ties is in place and was properly followed. “I don’t agree,” Kearns said. Bramley said they ought to “let it lay” for a while. Kearns said people were upset the Board of Education put a plea to support maintaining the appointed method on its website because taxpayers’ funds are used for that website. Baren asked what had to be done to get another vote. Ridgway said a petition would have to be submitted, but he’s not sure if it would be valid because the town went through an exhaustive process and the residents expressed their opinion.